After a VERY difficult morning in Charlotte, we made it to the airport and got on the plane heading for Ft. Lauderdale. Upon arrival we were greeted with a BIG DOSE of humidity and Mark from Planet Massage, our guide for the day portion of our trip. He took us to Mango’s restaurant for lunch. 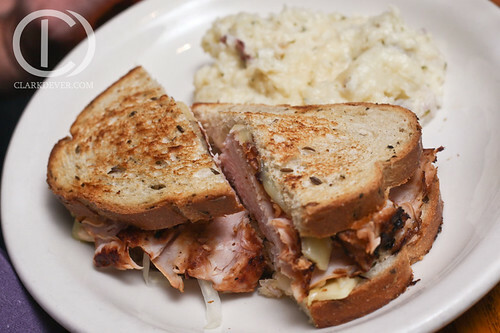 It was good eats, Steve got the fiery chicken salad, Joe had a mahi-mahi sandwhich, Clark had the seafood bisque and a sea food salad, and our host ate a Reuben. Once we were finished consuming a MUCH needed meal we headed over to the Planet Massage offices for some even more needed rub-downs. Let me say, I’ve only had 3 massages in my life and this one was AMAZING. I’m usually not a fan but I guess that’s because I’ve never physically abused my body like I’ve been doing on this trip before. 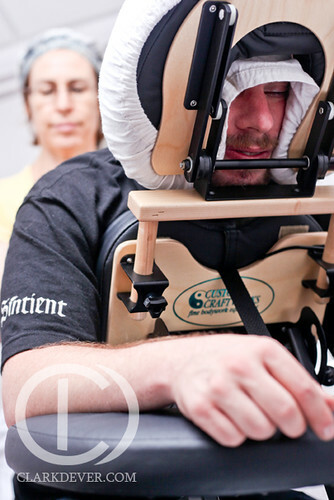 The staff was incredible professional and the atmosphere at the shop was very relaxing and calming. At this point we were ready for a change in scenery, Mark and his wife were kind enough to drive us to South Beach. On the way Clark decided to join the 21st Century and get a BlackBerry (INSERT CLAPS FOLLOWED BY BOOS FOR NOT GETTING AN iPhone). In exchange for the amazing hospitality, Clark took a few headshots for Pat’s business ventures including: http://www.geoacooperative.com. He also asked us to announce this AMAZING OPPORTUNITY for Marketing Students, you and your team could win up to $90,000 and experience in a national advertising campaging by entering this contest! As most people know South Beach is expensive, VERY expensive (think $400 just to walk into a club). We were having none of this. 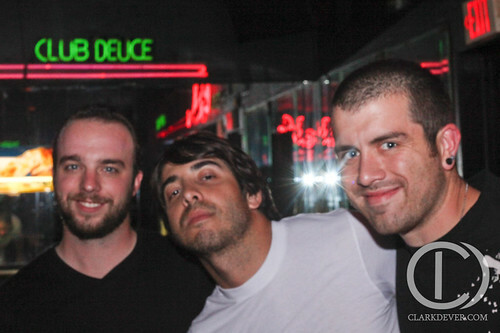 Thanks to an amazing fan suggestion we headed down to Club Deuce. It’s the Old Pink, but more glorious. The shots were doubles, the beers were $3.50 and you could SMOKE INSIDE THE BAR. That’s right INSIDE THE AIR CONDITIONED BAR, for Joe this was absolutely heaven on earth. At one point he asked if there were any bar tending spots open. If there were he would no longer be on this trip. Like any good dive bar there was jammin rock and roll on the box and pool table always in use. Typical. 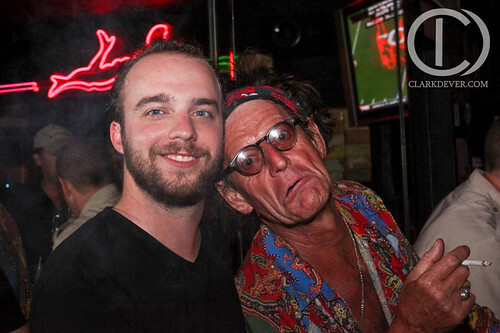 Not so typical, what could possibly be a genuine clone of Keith Richards in the bar with us. Great stories. Great accent. Great character. Now not wanting to stay in one place the whole night we took a quick walk down to Slim’s. By quick, I mean quick. 10 minutes in and out $7 beers aren’t our thing. So we went back to the deuce, got to know the staff a little better and ended the night there early (yes early) around 4:30am. By now we were hungry again and there was a great mexican place across the street. So what else is there to do at 4:30 in the morning when you’re drunk but eat some delicious gigantic burritos? At this point Steve is fairly intoxicated and decides he’s going to hit on a beautiful Cuban girl in her own language (kinda). What came out of his mouth was “Tu muy caliente” or “You’re very hot” she said “Si…ya later”. Sick burn. It was time to take a cab back to Pat’s condo and turn in for the night.